We write to invite your review of the Draft of the TPOS 2020 Second Report. This draft is being circulated to experts and stakeholders who we believe can critically assess the draft and provide guidance on how it should be adjusted and improved. This will be the ONLY round of review for the Second Report of TPOS 2020. 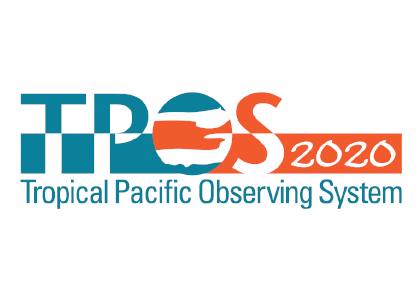 The TPOS 2020 project was established in 2014 to review all aspects of the Tropical Pacific Observing System, and to consider a redesign to meet the science needs of coming decades, taking full advantage of both satellite observations and evolving in situ sampling technology. The Project, its objectives and its major sponsors and stakeholders, are described in documents available at http://www.tpos2020.org, as is the TPOS 2020 First Report. The TPOS 2020 Steering Committee agreed to provide a sequence of three Reports, the first of which was completed in 2016. The Second Report builds on the First; it does not replace it. Except where necessary, material from the First Report is not repeated in the Second. Rather, the Second Report updates the evolving design, draws on new research and evidence including feedback received on the First Report, and responds to gaps identified by sponsors of the Project. As before, drivers and users of the observing system guide the sampling requirements; these are described, and techniques and strategies available to meet them are evaluated. Because the Second Report does not restate all topics from the First, focussing instead on what is new, it has a different structure. Its Table of Contents is listed below. We appreciate that your time is valuable and that you may wish to review only those parts most relevant to your expertise. While every effort has been made to present a complete draft, there are several placeholders where TPOS 2020 is seeking guidance or has not yet completed its work. Comments may be provided anonymously or attributed. The TPOS 2020 Distributed Project Office will manage all correspondence and can maintain your anonymity if desired. We will track all comments (please use the template provided), and for transparency will retain a brief account of how each comment has been handled by the authors. The report is available for download at http://tpos2020.org/2nd-report-draft/; the reviewer template is also available there. Please use this template to provide your feedback to the report. Comments should be received by 28 February 2019. If you need more time, please contact peter.strutton@utas.edu.au.Correspondence and questions should be addressed to tpos2020@gmail.com.